A stroll around the city will show you at least a dozen new construction sites. Hundreds of people and thousands of chores to complete. Working towards a single goal—completion of a construction project. Besides adding to a city’s beauty, the construction industry adds a lot to a city’s economy. In 2015, the construction industry contributed 4% of United States’ GDP. But, it’s not just the United States. Construction industry worldwide is expected to grow to $4.8 Trillion by 2020. For an industry this big, what are the kind of challenges that they face? Allan Avis Architects is a construction firm based in Ontario, Canada. 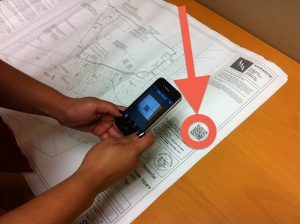 The firm adds a QR Codes to its design blueprints. 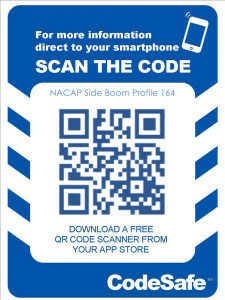 Scanning these QR Codes will allow the user to view more more information on a drawing. New additions made to the drawings are also encoded in the QR Code. This keeps workers at the site updated on the changes. In 2012, UK-based construction companies Costain and Laing O’Rourke jointly remodeled the Bond Street Station in London. The firm added QR Codes to their blueprint. When scanned, the QR Code on the blueprint lead to an external website. This website connected to a document management system. Here, the user could get details on the drawings. Details in green text meant that the drawing was up-to-date. Red text carried a warning indicating the drawings have a revised version. Costain also used QR Codes on drawings for the remodeling of London Bridge station. 1. In 2016, London Design Festival displayed a house prototype. This prototype showcased strategies for construction waste management. The team that built the house incorporated a QR Code outside it. The QR Code will link to information on building materials used in the house. At the end of the building’s life, the QR Code will help identify re-usable materials. This move aims to reduce construction material wastage. 2. Country Garden Holdings, a Chinese property developer started using a QR Code system. This was to increase efficiency and quality of work at the construction site. Every bag of construction material beared a QR Code. Workers could scan the QR Code to learn more about the material. The company’s goal was to improve the decision-making skills of the workers and reduce human errors. 3. Suffolk Constructions is based in Massachusetts, United States. 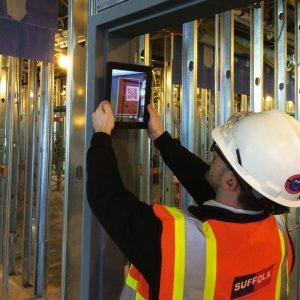 The firm uses QR Codes to track progress of work at a construction site. Suffolk added QR Codes at the construction site of Brigham and Women’s Hospital, Boston. Scanning the QR Code allowed the user to view documents of a given area and give real-time feedback. “From there (the site), we can change the status, add comments, put it in dispute, mark it as complete, and even add a picture. 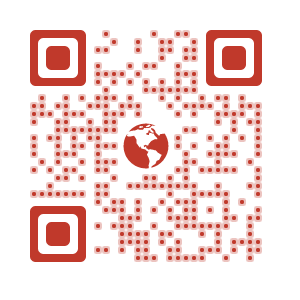 It (QR Code) allows us to work through lists almost in real time.” – Tom Reid, Assistant Project Manager, Suffolk. i. CodeSafe Solutions (CodeSafe) is an Australian construction safety firm. The firm develops technologies that bridge the gap between the office and the field. CodeSafe and Master Builders Association of Victoria (MBAV) partnered with WorkSafe Victoria to educate workers on safety at construction sites. As a part of the project, Codesafe encoded a QR Code with safety demonstration videos. Workers could view these videos by scanning the QR Code. A UK based construction company—Blu-3—added QR Codes on the helmets of construction workers. Each QR Code links to details such as name, emergency contact, medical condition, ID proof, and training history of the worker. This move is taken to ensure safety as well as do quick competency checks. 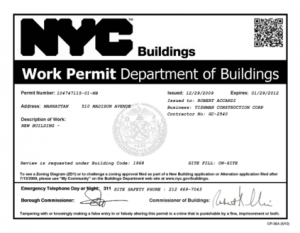 In 2011, QR Codes started to feature on NYC construction permits. This was the initiative of New York Mayor Bloomberg and Department of Buildings Commissioner Limandri. Scanning the QR Code led scanners to a webpage. Here, they could view details on what’s being built, and who’s building it. People could also register complaints, if any against the permittee. If you are a part of the construction industry, you know how chaotic it can get. There is always a lot to get done on a strict deadline. The above examples show how QR Codes in construction can make daunting tasks easier to manage. 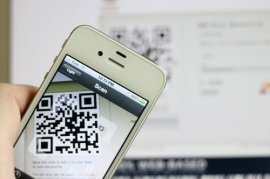 If you are looking to complete your projects without many setbacks, use QR Codes.